Acronyms pose a special problem for translators. They are hard to research because they often refer to specialized industry jargon or internal corporate processes. The internet has many resources for terminology research and pages devoted to acronyms but it can still be a hit-or-miss pursuit. As translators, we’re responsible for leaving no stone unturned in our translations, including deciphering all the acronyms. Searching for an isolated acronym in Google can lead us on a wild goose chase because it doesn’t provide enough context and a two-letter or three-letter acronym often stands for several things. But if we have the name of a company and are able to put it in the search line together with one or two undeciphered acronyms, or alongside other operative terms, it should point us toward the context we’re looking for. For example, googling “siemens ecg lms” (don’t use the quotes in your search) will quickly bring us to pages where we’ll discover that ECG is Electronic Control Gear and LMS is Lighting Management Systems. Also, we should not pretend just because we’re supposed to figure out what a document says that we know the inner workings of the parties involved in a document more than our client does. We should ask the client (or ask the agency to ask the client) about unresolved acronyms. Attorneys often work on cases for months or years and they’re likely to have come accross the terms in the past. 3 – If the foreign acronym is translatable, e.g., MADD (Médias africains et développement durable), the first time the term appears, write the acronym followed by brackets with both the original name and the translation separated by a slash: MADD [Médias africains et développement durable/African media and sustainable development]. Thereafter, use the foreign acronym alone. 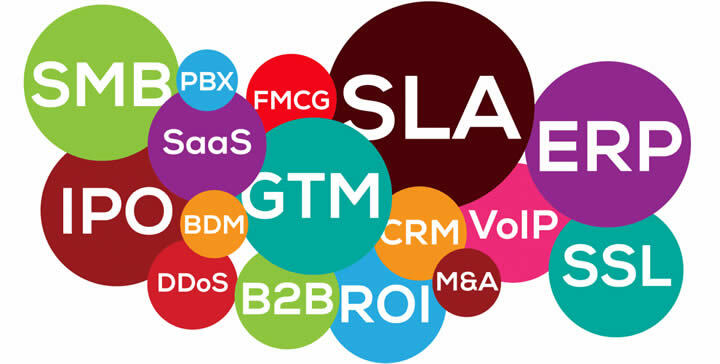 After all your research, you may not be able to find all of the acronyms you’re looking for. If you can’t, make sure you alert your client, and preferably well before the deadline so that he or she has time to resolve the issues or communicate them with the end client.